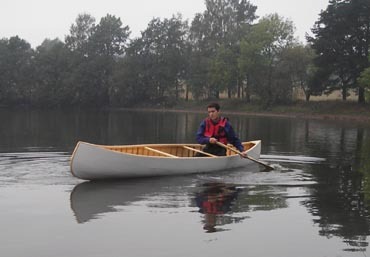 The Canadian canoe was originally used by American Indians. The white man adopted their use early on, but modified their construction. Where the Indians used birch bark, they would instead use thin wooden boards and canvas. This method of building canoes is over a hundred years old and well tested. 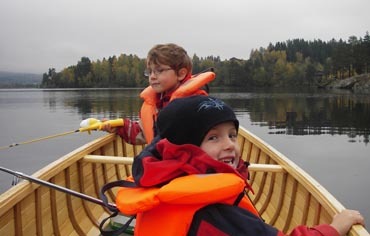 You can now build Canadian canoes at Kajakkspesialisten's construction courses. 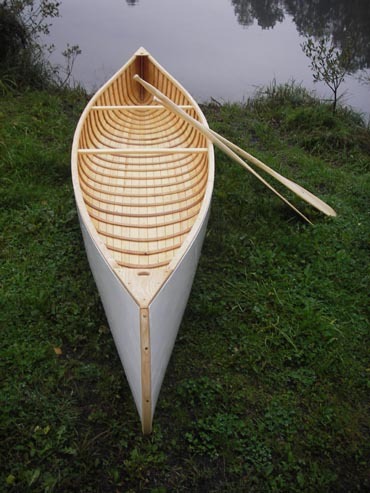 We use a classic model, designed by canoe and kayak builder Hans Egede Hoell. 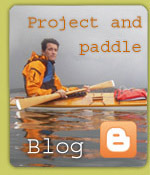 The canoe is ideal for use inland, on rivers and lakes. It has a large cargo capacity, is stable and fast. It's suited for use by two adults or one adult and one child. We use ash for ribs and stringers, and spruce for boards, since this makes the canoe light. The canvas is thin cotton, painted with the same base and finish as the kayaks.